The Lexington entertainment center combines modern edge with retro flare featuring charcoal tinted sliding glass door for easy access to all your a/v components. Each side of the unit contains two standard push open drawers. Center compartment is split into two sections left and right. 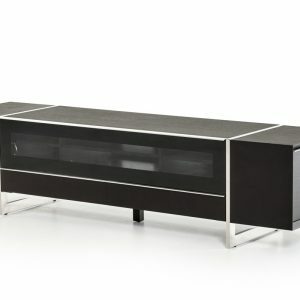 Contains rear ventilation holes for wire management perfect for all LCD TV’s stainless steel legs give the Lexington some added height while maintaining its low profile presence. 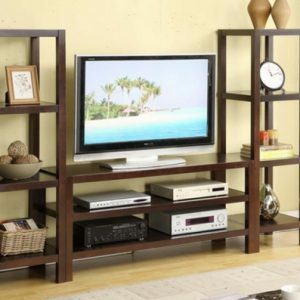 Available in wenge, walnut finish and white lacquer finish.